No Index positions… works with all systems. Look good and work well. I was unsure at first about the mounting plates, which didn't seem as though they would cover the bosses, but in fact they look great. These allow for very good control and don't come unstuck (they don't suddenly lose the friction part of friction shifting). Very pleasant to use with an old school setup. Can these be used with Jteks thumb shifter holders? They should be suitable, we have not directly tested those so there may be some slight compatibility issues. How much cable will this shifter pull. I need 38mm for a Shimano Deore XT long cage, I'm not bothered about whether the indexing matches (although it would be interesting to know) so long as there is enough cable pull in friction mode. These shifters are friction only so they don't have an indexed setting anyway but they will pull sufficient cable for use with a Deore XT rear derailleur. 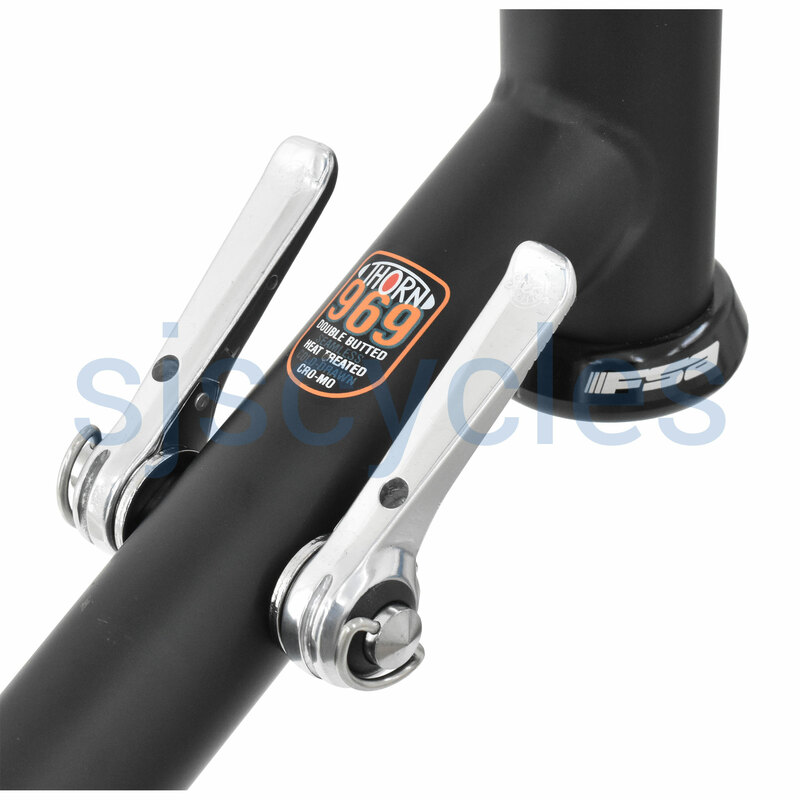 I have a 28.6mm steel frame without braze-on fittings. Will the Origin 8 fitting work with the Dia-Compe friction shifters ? We believe they will work. Are these shifters the ones that come with the bigger right side barrel to accomodate 50mm cable pull? This is just the standard version with equal sized barrels. This pair of shifters weigh 66grams, the anchor plates and fixing bolts are included as well despite not being photographed. Will These Work With An Campag Athena 11 Speed Set? Would like to mate these with a silver Athena 11 speed drive train on a Retro I am building. As these shifters are friction they should be absolutely fine for use with your Campagnolo 11spd group set.